Stefan has been training karate since 1996 under sensei Ilpo Aavisto. He has also trained with sensei Masao Shimizu, sensei Soile Aavisto and the masters of Jundokan in Okinawa. 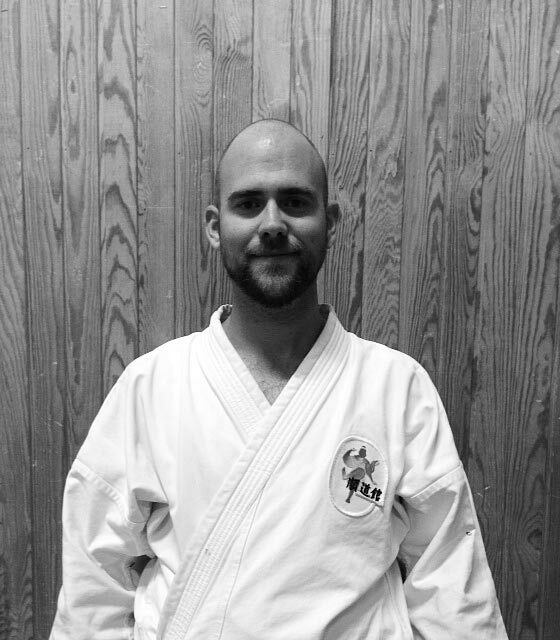 Stefan has been teaching karate since 2002 and in order to develop his own karate and himself as karateka, he today researches the combination of traditional budo weapons with Goju Ryu karate (this practice is called kobudo). Sofia has been training karate since 2002 and has taught students of all ages since 2011, mainly focusing on children and adolescents. 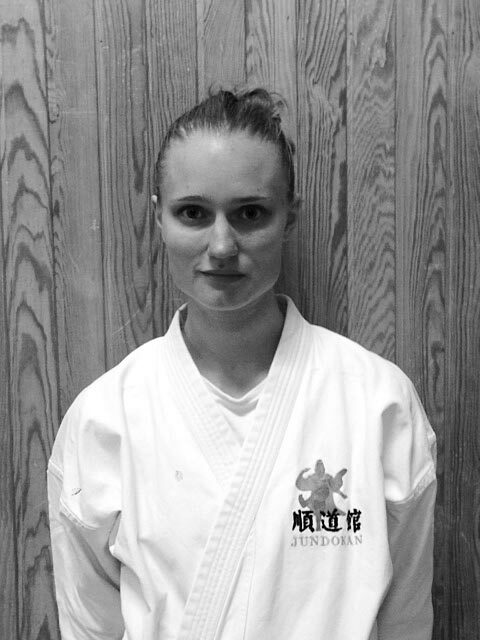 Apart from her training in Sweden she has trained with sensei John Whitby, New Zealand, for a year, as well as with the masters of Jundokan in Okinawa. Apart from karate she has practiced kendo, Japanese sword fighting, and there attained 3 kyu. Andreas has been training karate since 2003 and has taught children and adolescents since 2009. 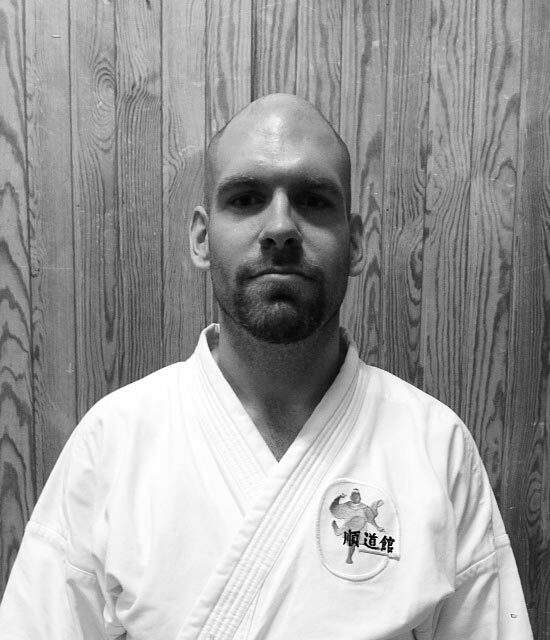 He has trained with the masters of Jundokan in Okinawa at several seminars in Japan and in Europe. Apart from karate he practices jujutsu since the spring of 2014. 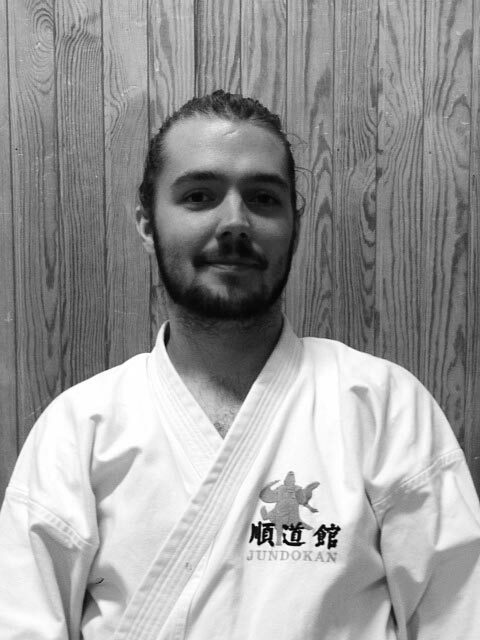 Daniel has been training karate since 2010 and has taught children and adolescents since 2011. We also need auxiliary trainer! If you have been training for a couple of months in the senior group, you have enough knowledge to help our younger students. It’s incredibly fun and you will feel that your own karate is strengthened. Talk to us if you are interested.